The American entertainment industry’s admiration for and inspiration from British television is nothing new. Many popular British shows such as Shameless and Being Human have been remade for American audiences, with the most successful cross-over being NBC’s 2004 hit comedy The Office, which locked down a primetime Thursday night spot for an incredible nine seasons compared to the two-season run of its British counterpart. In a recent turn of events, however, American audiences are rapidly becoming more interested in watching original British shows, in many cases, to the point of fan obsession. UK-made shows like Doctor Who, Downton Abbey and Sherlock have become popular among U.S. viewers in the past couple of years, and while such a rising trend in popularity bodes well for both the British film industry and for the strength and diversity of the global film industry in general, it does beg a question: why? Perhaps one reason for this shift in audience attention is the ability of British shows to give Americans a realistic and first-hand view of a truly different culture. Many American programs have begun to follow a typical formula, with many a new show being a spin-off of a successful predecessor, such as the cases of NCIS: Los Angeles and the numerous branches of the Law & Order series. While each of these shows, despite its slightly unoriginal or flat-out recycled premise, may be popular in its own right and with its own niche audience, British shows give Americans something they are not familiar with—an entirely new perspective on entertainment. It is this unique glimpse that allows shows from across the pond ultimately to stand out when placed in the Netflix queue. Availability also seems to be playing a large part in the increasing popularity of these series. Masterpiece Theatre on PBS has been airing British shows regularly since 1971, but because of the low viewership of the channel, many of the shows did not become extremely popular in America. Now, due to streaming sites like Hulu, British shows are readily available to anyone with a subscription and a taste for the foreign style. Anytime someone wants to watch an episode or an entire season, they can easily turn on their computer and start watching. This internet-based ease of access has also led to an increase in word-of-mouth buzz for these shows. 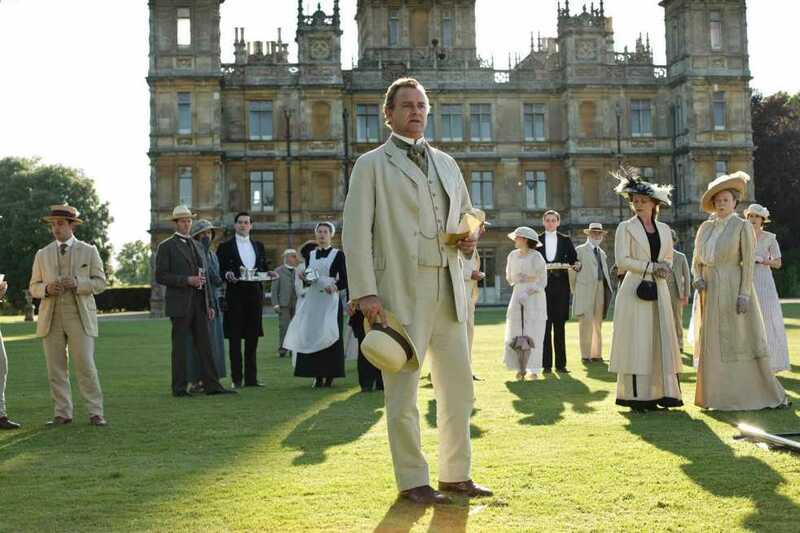 The more often people are watching shows like Downton Abbey, the more they are telling their friends about them, causing a chain reaction that is steadily increasing the viewership for the British television industry as a whole. Despite these contributing factors, however, it could be argued that the main reason these shows are becoming so popular overseas is their high quality and dynamic storytelling structure. British seasons, or series as they are called by natives to the UK, do not have a specific structure like American seasons do. They can essentially debut whenever the show is ready, unlike shows in America, where most new seasons begin in either September or February and continue in an episode-per-week format until reaching a season-ending finale episode. Because they do not have to air every week like American show, British series are granted more flexibility in terms of production. They can spend as much time as they need to make the end product as inventive and engaging as possible without worrying about deadlines. A great example of this concept of creative freedom is Sherlock, which has now kept fans waiting for two years to premiere its third season after the cliffhanger at the end of season two. British shows also do not have a rigid season or episode length, allowing the writers to write as much as they think the show needs, instead of adding unnecessary characters and subplots to fill time. American seasons typically last between 22 and 24 episodes for a full season and 13 for half a season; in comparison, British seasons are normally short, normally with only six to eight episodes per series. Shows like Doctor Who come in on the high end with 13 episodes a series and Sherlock on the low end with a fan-crushingly short three each year. Great casts are a benefit to any series, and they have certainly been present in the British television industry in recent years, helping several shows to reach the level of global popularity that they occupy today. Sherlock stars Martin Freeman and Benedict Cumberbatch have both gained international acclaim for their roles and, as a result, are now both sought-after commodities in the Hollywood film industry; both actors will star in Peter Jackson’s The Hobbit: The Desolation of Smaug, which is due to be released in December. Downton Abbey is also well known for its outstanding ensemble cast, so much so that in 2011, the show was recognized in the Guiness Book of World Records as the most critically acclaimed television show of the year. Because of these and numerous other reasons, British shows have quickly begun captivating American audiences. However, while these shows are popular, a question begins to arise about the future of British television. Is it a rising fad that will decline in a couple of years, or is it something that is here to stay?